One lucky ShutterBug follower will win a Obrien Schridde Poetic table top frame! Obrien Schridde Designs offers timeless, distressed, romantic frames each hand made with care. All of their beautiful frames are designed to look weathered and worn. Their pieces reflect an appreciation for time gone by. These vintage style, hand crafted pieces are the perfect solution for adding that perfect something to your most treasured photographs. 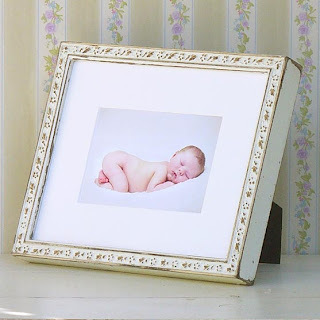 These unique frames are available in an array of sizes, colors & styles and can be ordered at ShutterBug Photography. Contest starts Today @ 5pm est. - Subscribe to our newsletter! We would LOVE to keep you in the loop on our specials, updates, future giveaways and events. Click the link below and enter your name ( First & Last), your email, and under Giveaway put "Poetic Frame." Contest ends Sunday the 17th @ 8pm est. Drum Role Please......... The winner of the Obrien Schirdde Poetic Frame is @Photography By Joyce Ann! CONGRATULATIONS Joyce and thank you for taking part in our first contest!